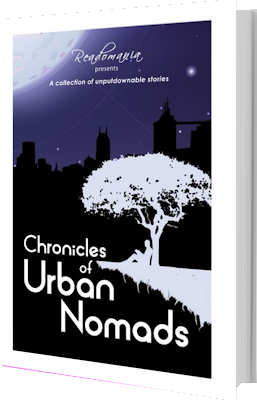 The Chronicles of Urban Nomads, is a collection of fast-paced stories, exciting enough to compel you to read them all at one go! Romance, drama, action, thrill, and mystery abound, meticulously crafted by twenty emerging stars of the literary world, and edited by a seasoned hand from the industry. 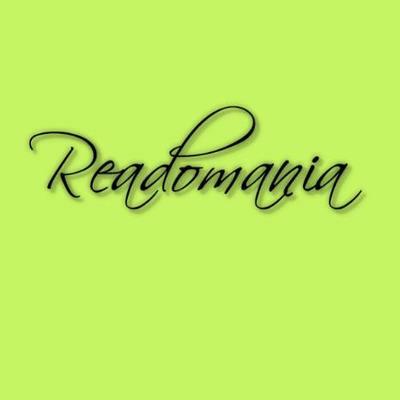 These stories were chosen through a nationwide hunt by Readomania, combined with the opinions of emerging authors, seasoned editors and established authors. The result is a potpourri that will force you to think beyond the ordinary. Even as a bewitchingly beautiful saree narrates her story, a girl tries to deal with a dilemma in her arranged marriage. While riot-struck children walk alongside conscience-driven saviours, characters play hide and seek through a book, even as lovers ‘book’ a date with destiny. There is a flicker of hope, of a mother who has lost her child, as well as the agony of a friend who cannot forget her past life. Fear nudges your soul, even as aspirations drive you up the tallest wall; on one occasion, a game of heart and mind will tempt you to choose, while in another, an engagement ring will engage with its tale of choosing duty over desire. Here, even as a child’s innocence creates a strong relation in a new life, a man builds a bond with death’s absolute finality; we see hopes of revival in a worn out relationship, even as someone embarks on a quest to find a lost identity. This melange of characters, situations, attitudes and emotions brings to life an exciting realm of fiction that you definitely wouldn’t want to miss. Readomania welcomes you to be a part of a literary journey to a realm of the superlative where pages turn, hearts beat, and the mind gleefully wanders to places you might have never been before.